Anyone who know me knows that I am a snacker. 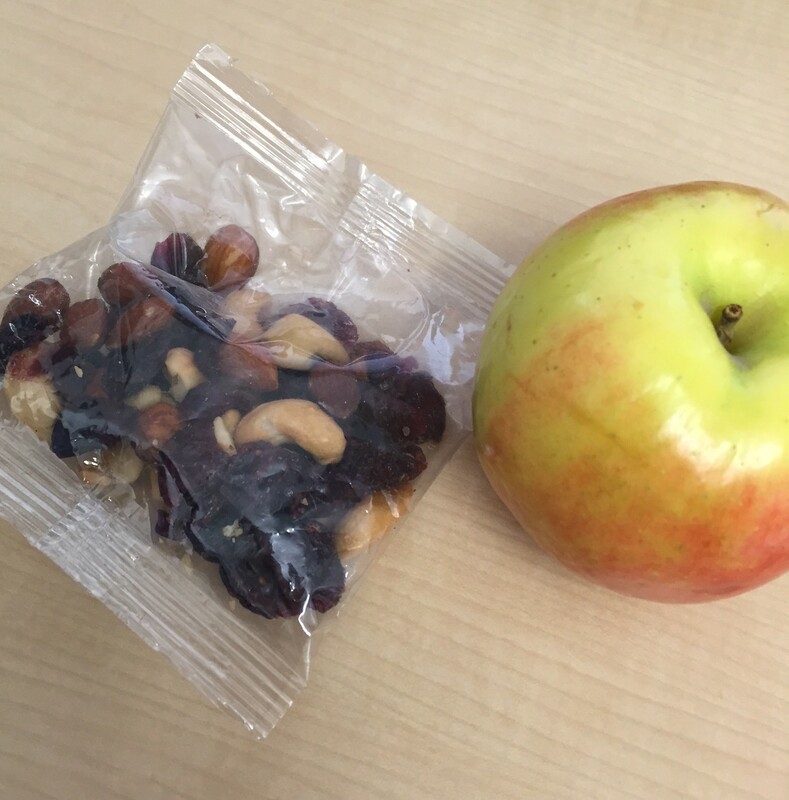 I’m that one friend who always has trail mix in her car, granola bars in her purse, dried fruit at her desk…basically, I will never go hungry (bring on the apocalyse!) I actually consider my afternoon snack as one of my 4 meals a day, that’s how important it is to me. Gotta fuel up during the mid-afternoon slump! It also ensures that I am never hungry at the gym, because ain’t NOBODY got time for that. There is probably nothing worse than being hungry at the gym. Especially on pizza Monday #planetfitnessproblems. Anyways, I wanted to share my go-to favorite snacks. My afternoon snack is usually around 200-300 calories with a decent amount of protein to keep me going through my workout. I also included some lower-calorie snacks that I like to have after lunch or dinner when a sweet craving strikes! My usual favorite: yogurt parfait! I layer fruit (frozen or fresh), plain Greek yogurt, and granola. If I use frozen fruit, I will make it in the morning and it will be thawed by the afternoon. I also put the granola on right before I eat it so it stays crunchy! 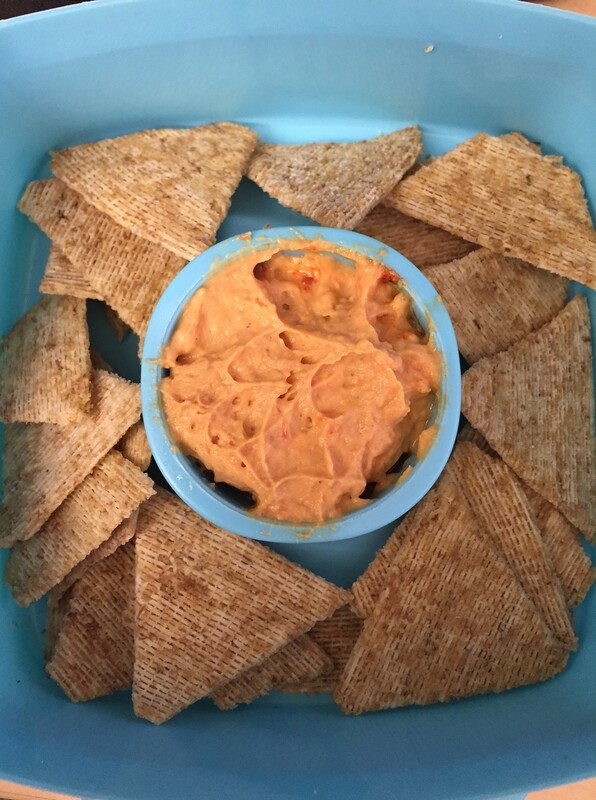 A great salty, crunchy snack is hummus with crackers/pretzels! These Triscuit Thin Crisps are smaller, so you can eat more for less calories – win! A great snack when you’re on the go – individual trail mix pouches (I get them at Trader Joe’s!) and fruit! 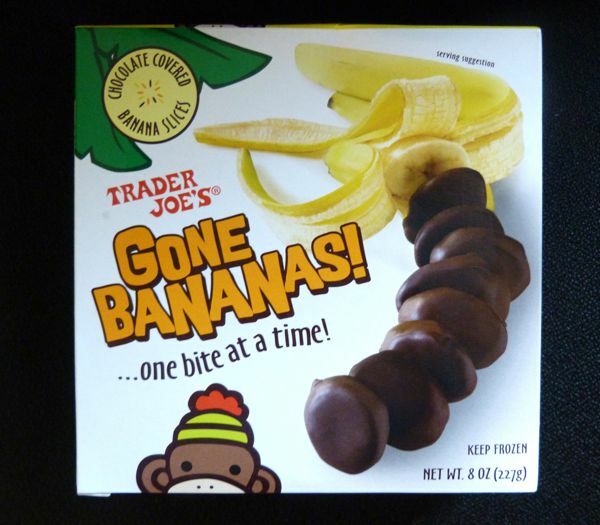 These chocolate covered banana slices are SO GOOD! I get them at Trader Joe’s and you just eat them frozen. They are only 32 calories each, so they are great if you just need a little something to satisfy a sweet craving after lunch or dinner! Dole makes them as well in 100 calorie packs (4 slices per pack), but I like that the Trader Joe’s ones are all in one box…that way if I only want one, I don’t need to open a whole pack! Chocolate and coconut bites are a delicious way satisfy your sweet tooth! They are super gooey thanks to the secret ingredient – dates! Speaking of ingredients, there are only 6, and they are all clean and healthy. These are only 157 calories each and you can leave a batch of them right in the fridge or freezer. Find my recipe here! Arctic Zero is a life (and waistline) saver. It’s very low cal (150 calories in the whole pint! ), made with whey protein, low in sugar, and it’s a great ice cream substitute! However, the only flavor I have actually liked is mint chocolate cookie; I get it at Walmart, near the frozen yogurt, and it’s a little expensive (about $5 a pint). 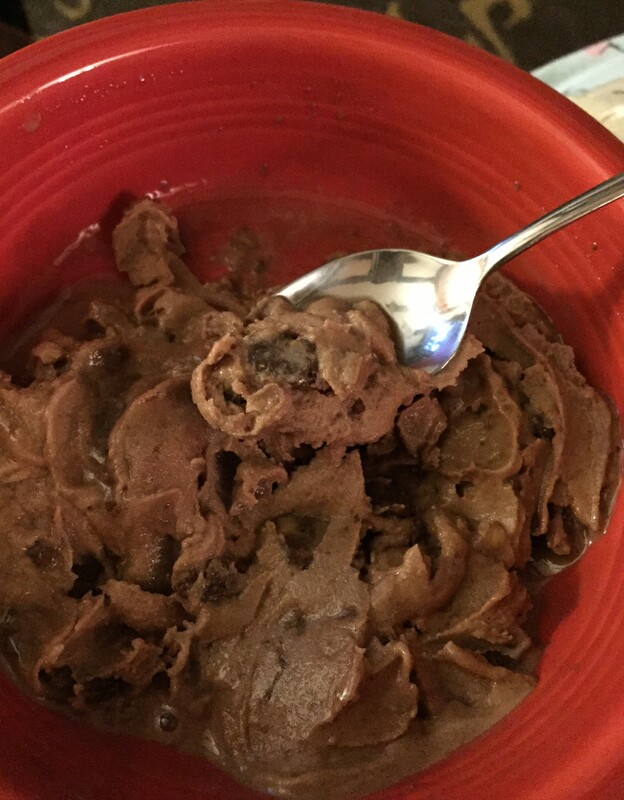 It has a good minty chocolate flavor, but no “chunks” of cookie or anything, so I add my own! I used to add a 100-calorie pack of Oreos, but I have now found Horizon Organic Chocolate Snack Grahams (also at Walmart) which have ingredients that I can actually recognize. I scoop out 1/3 of the pint (50 calories) over 17 snack grahams (130 calories) in a bowl and let it soften, then I mush it all together and break up the cookies. It has a soft-serve type texture and the cookie bits make it taste like an indulgent treat, but it’s less than 200 calories! Quick apple crisp is a great way to have a “comfort” sweet treat without blowing too many calories! It also has a lot less sugar than traditional crisp and can be whipped up in just a few minutes! 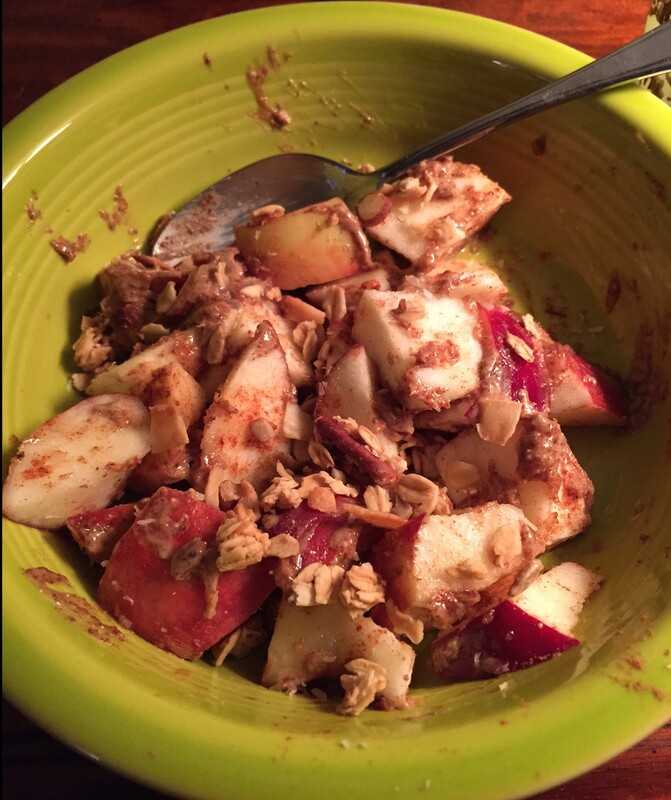 Put 1 tablespoon of almond/nut butter in a bowl and add a diced apple. Top with cinnamon, 1 tablespoon of honey, 1 tablespoon coconut flakes, and 2 tablespoons of granola (I used my mom’s recipe which has nuts and maple flavor!) Microwave until warm, mix it all together, and enjoy! What are your favorite low-cal, healthy snacks?? Cookies and Cream Protein Shake!